Orion Pictures has released a new Child’s Play image from the upcoming remake, and it offers the clearest look yet at the doll Chucky. Directed by Lars Klevberg and written by Tyler Burton Smith, the film is a new take on the beloved horror franchise set in modern day that follows a single mother (Aubrey Plaza) who gives her young child a Buddi doll as a gift, unaware of its more sinister nature. As previously revealed, Mark Hamill fills the voice role of Chucky this time around, filling the voicebox of the iconic Brad Dourif. 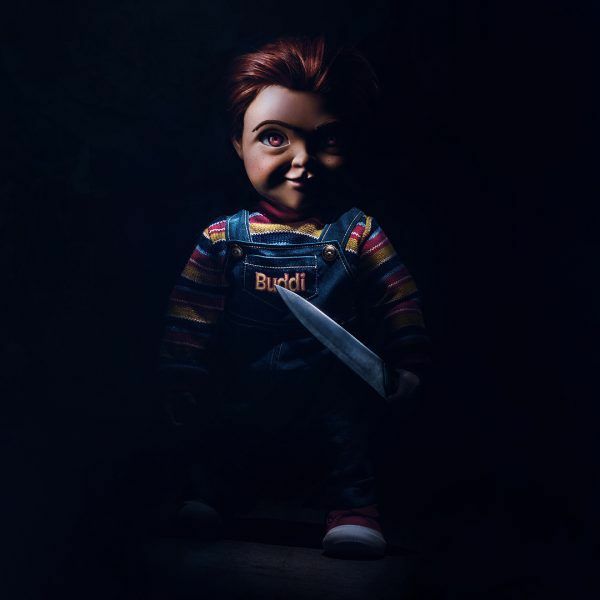 Indeed, horror fans are mixed on this reboot given that the Child’s Play franchise was still going strong with creator Don Mancini, who helmed 2017’s Cult of Chucky and is spearheading a Syfy TV series adaptation called Chucky. This new film is not connected to the original franchise or the TV show, and as you can see from this new Chucky image, the doll has gotten a complete redesign. It sure looks like a killer doll, but this iteration is a bit softer, a bit more “attractive”—which makes his murderous motives all the more unsettling. Check out the new Child’s Play reboot image below, and come back on Thursday to watch the full trailer for the film. The movie opens in theaters on June 21st and also stars Gabriel Bateman and Brian Tyree Henry.